Hi, everybody! Hope your weekend has been lovely. 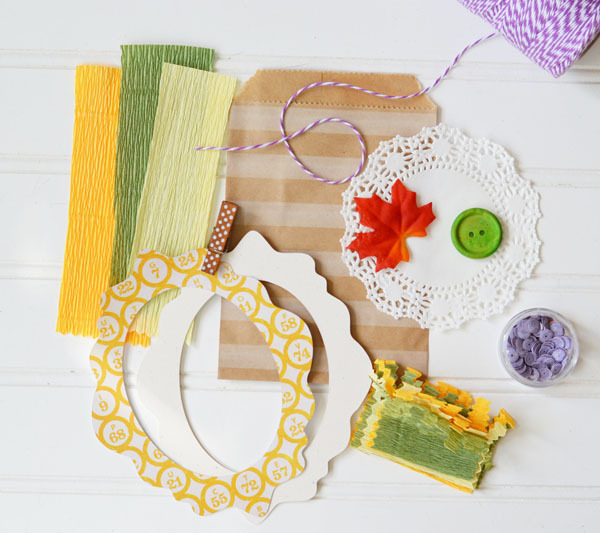 My mom and our friend, Jean, were over yesterday to do a little crafting and have a lovely lunch. It was great to be with them! I'm still waiting for fall...it was about 90 degrees yesterday and close to that today. Looking forward though, I see some highs in the 70s for this week. Looking good!! I love finding unusual images - Isn't she fabulous? I found her at Vintage Bella. This would make a darling hostess thank you or a little bag to place a note and a treat inside to say I'm Thankful for You. I cut the frame from patterned paper and a sturdy 110 lb. cardstock. The fringe is made from three colors of crepe paper stacked alternately. Added on some other goodies and she's adorable! 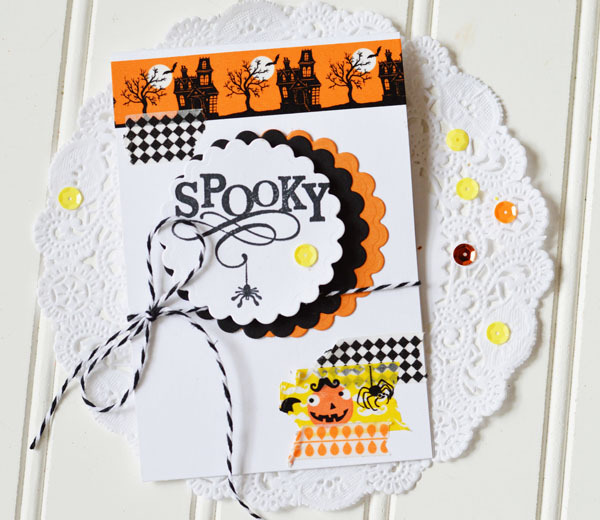 Maria - email me with your address and I'll get that sweet Halloween treat bag kit right off to you. Thank you! Have a wonderful week, everyone and here's hoping for Fall! Gotta love Tootsie Roll Pops, right? Especially at Halloween. No other Pop makes quite the right ghost. Tootsie Roll Pops have just the right shape. 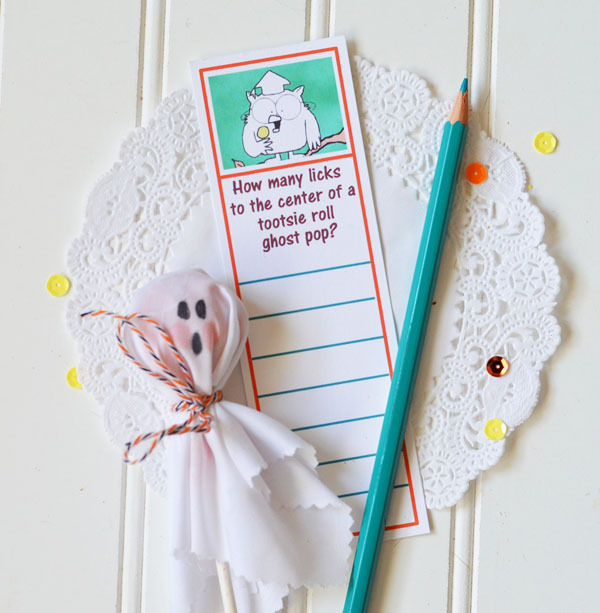 Did you make them with Kleenex when you were a kid? I can remember making them in school at least a few times. 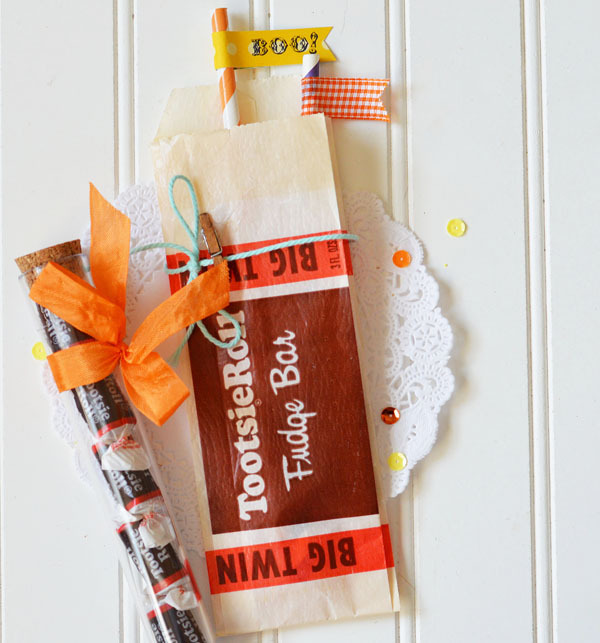 My vintage tootsie roll treat bag is all about the Tootsie Roll Pop. My vintage bag includes a tally sheet featuring Mr. Owl and a matching pencil. Aren't these bags cool? I found them at a local antique store. I'm not sure what the bags were used for. Maybe at one time you could buy Tootsie Rolls and the proprietor would put them in this little glassine bag. I really don't know. If any of you know, I would love for you to tell me. This was a sold out Choux Box kit. But now I have a few more. The guy I got the Tootsie Roll bags from called me and told me he had found 5 more bags. So, if you would like a Vintage Tootsie Roll Treat Kit, email me (email button in sidebar) and I'll send you all the details. If you are interested in future Choux Box Kits, you can sign up at the page tab above. 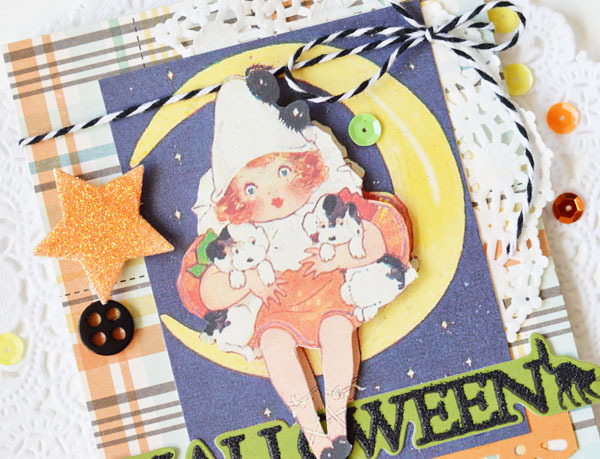 Here is another Agnes Richardson cutie (that did not start life as a Halloween image) that I've turned into a Halloween card. This sweet little moon fairy worked out great! Would you like a copy of the Moon Fairy? You can download her HERE. 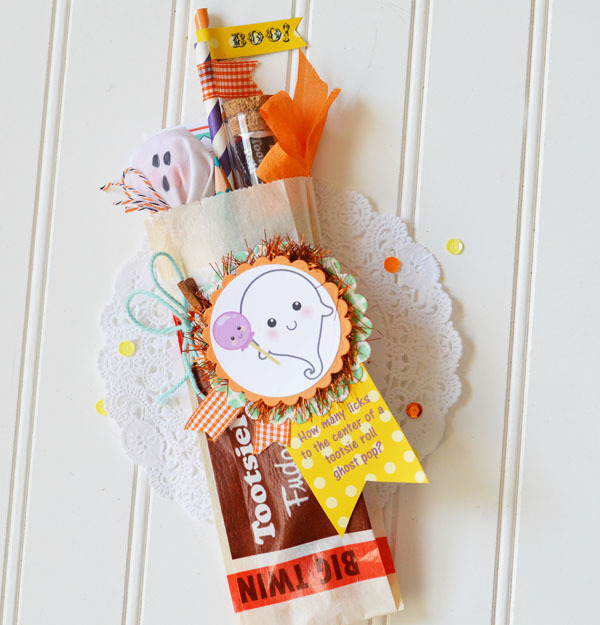 Holly and Ira, email me (email in right panel) with your address and I'll get your Halloween Treat right off to you! Have a lovely rest of your week and thank you for stopping by! I remember when I was little and getting ready to go trick or treating, my daddy telling me a story about when he was a kid. He and his brothers went up the steps of a house close by to trick or treat and the man came out and threw a pan of water on them! That seems like a horrible trick! I'm kind of fuzzy on other details, but I remember thinking about it every time I rang a doorbell that year. Luckily, when I said "Trick or Treat," I got all treats! 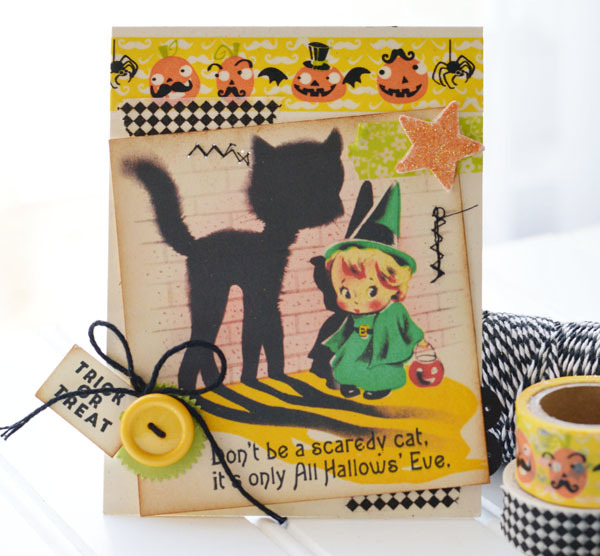 I think these darling black cat images from the 1940s are treats, too! Aren't they sweet? I love the big shadows and the tiny kitty and witch. I picked them up at Posh Totty Designz and you can, too! 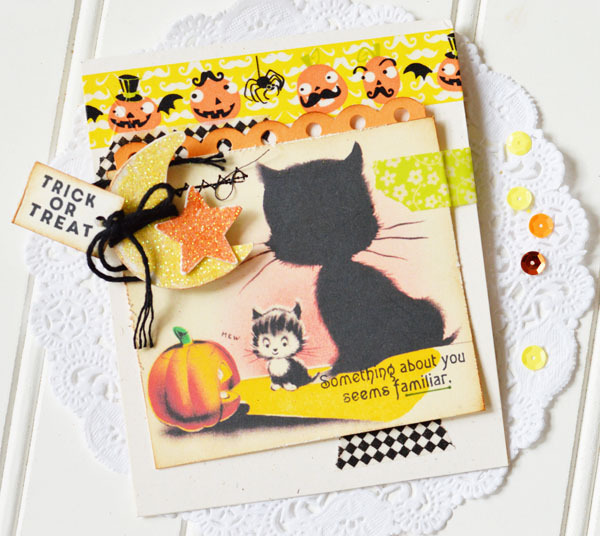 I added sentiments from the Superstition stamp set from Papertrey Ink. I especially love this one: Something about you seems familiar. Isn't it perfect for this picture? 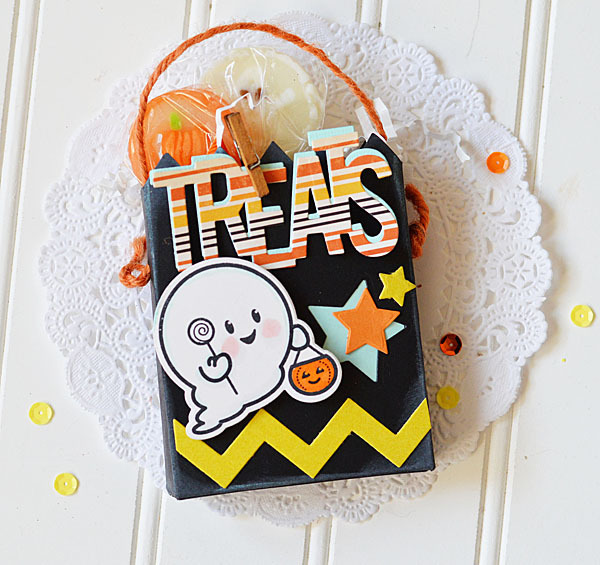 And now for a little something, NOT a trick, but a treat! 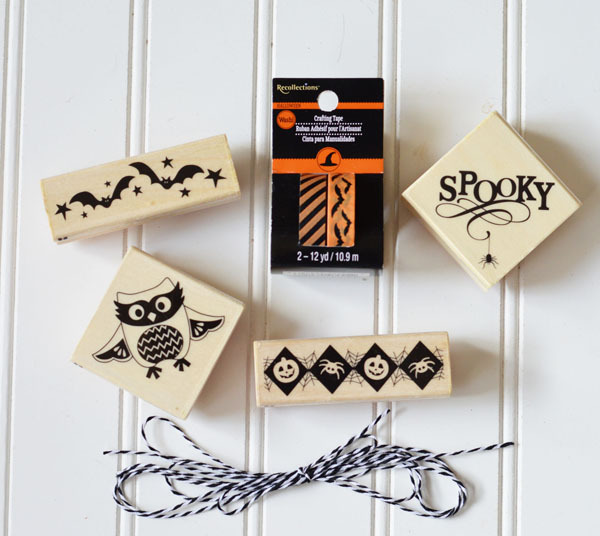 How about a few Halloween stamps, washi tape and black and white twine? I've got two sets to give away! 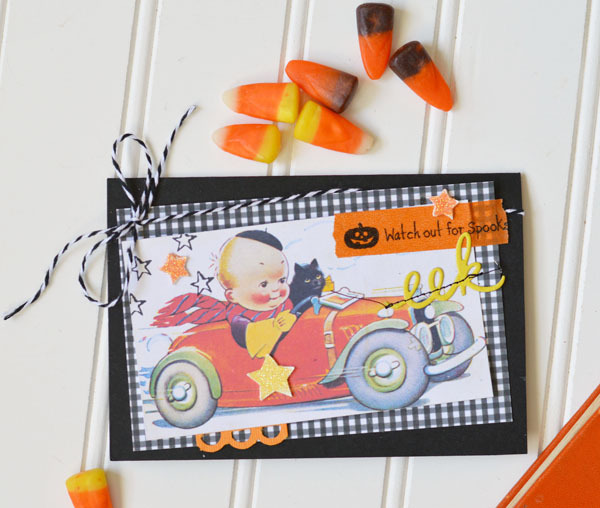 Just let me know in your comment that you would like to win a Halloween Treat. I promise I won't send a trick! Two winners will be selected randomly and I'll announce the winners on Thursday. Be sure to stop back by to see if you're a winner. 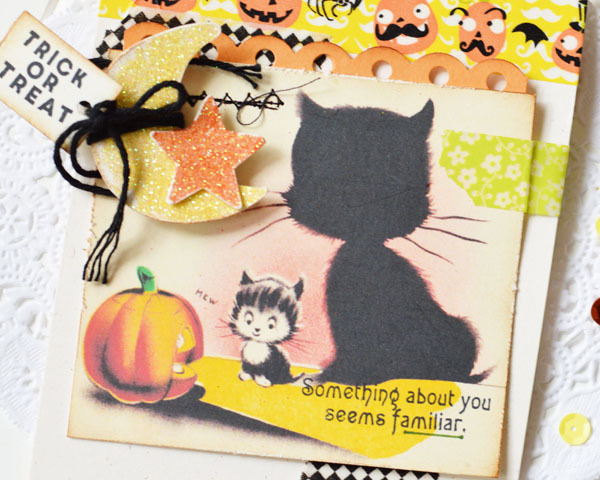 I think these stamps will make darling cards (or whatever Halloween project you would like to make). I can't believe it's 93 degrees today! Where is fall??? I think it's hiding and I wish I could find it. I love fall and am anticipating that crisp cool air and the leaves turning colors. Ninety three degrees is just not doing it for me! 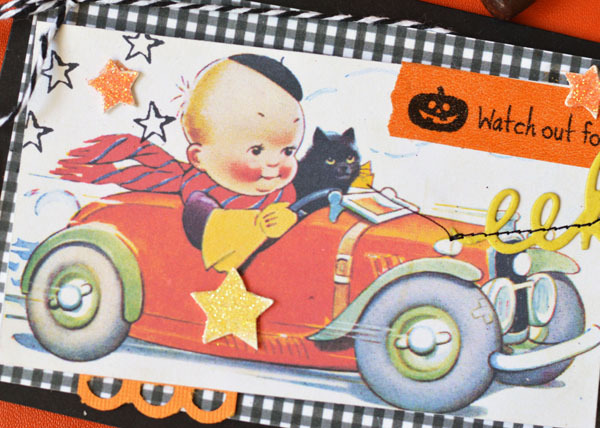 To try to get the weather in gear, I'm posting a Halloween card today. 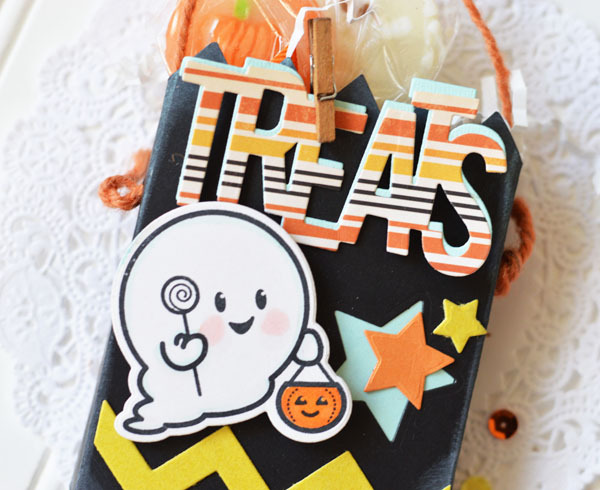 This cute little guy isn't really a Halloween image. But I thought I could turn him into one. I mean he has a black cat already, right? If you would like your own copy of this Agnes Richardson postcard, you can download it HERE. If you have any trouble with the link, just email me. Is it fall where you are? If it is, can I come visit? Just for a little while? Until it cools off here?